KDE Neon has just released its new version 5.10.4, an advanced Linux Distro based on Ubuntu 16.04 Xenial Xerus with the latest KDE version 5.10.4. KDE Neon 5.10.4 comes with a beautiful desktop, smooth effects, better hardware supports and many more. 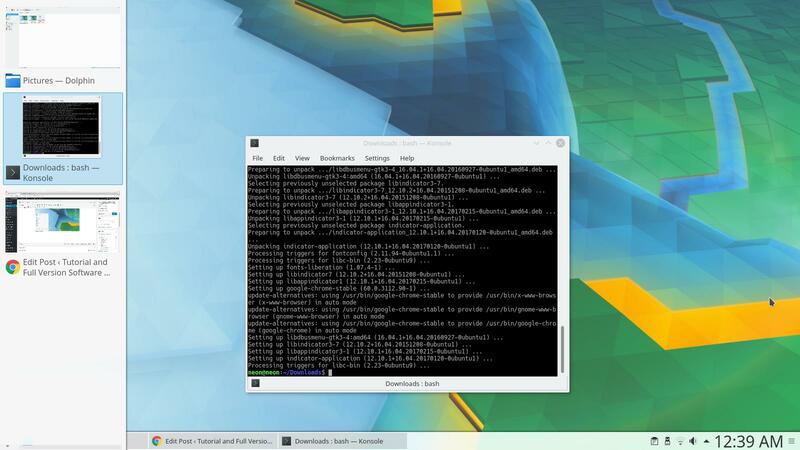 I am currently testing this KDE Neon on an AMD powered PC via Live USB. And now I am going to give you a short review about KDE Neon 5.10.4. First, lets take a look at the desktop. The default wallpaper is not fancy enough to accompany this great OS. Why the KDE Neon developers or community use this wallpaper as the default one. If I am finally installed this KDE Neon on my PC permanently, changing the wallpaper could be the very first thing I want to do. 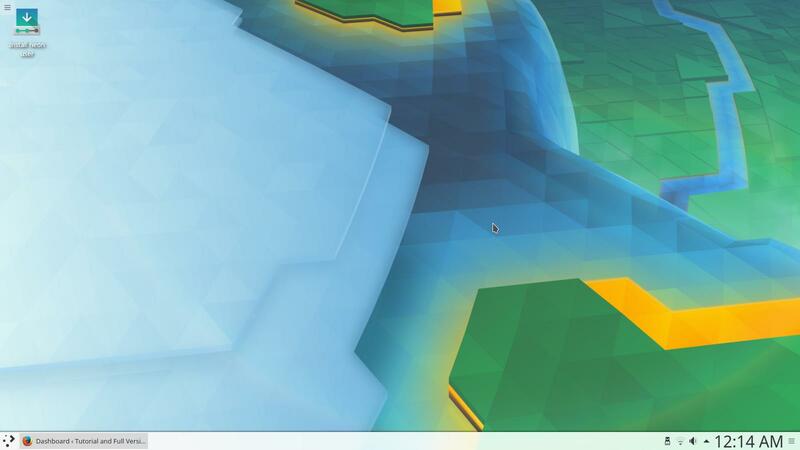 The new KDE Plasma 5.10.4 works very well. It is very comfortable to navigate between menus and application. For you who like fancy effects, this KDE Neon 5.10.4 has them all. Window switch effects and application preview on KDE Neon was pretty smooth. Even I run from a USB drive, everything runs smoothly. 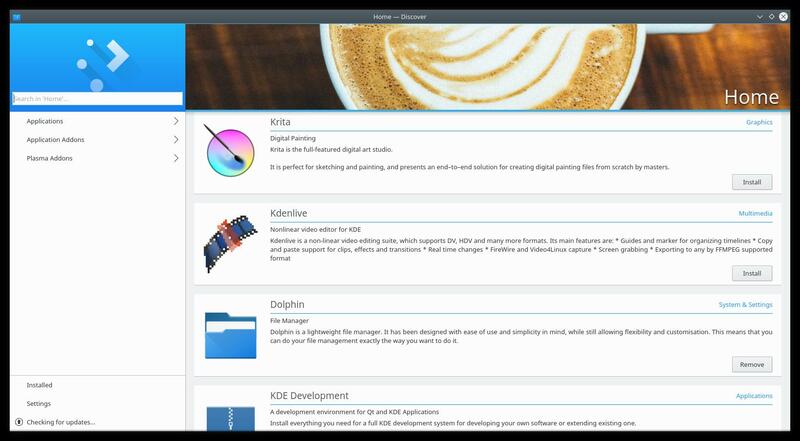 Another great thing on KDE Neon 5.10.4 is the Software Center. Discover is a modern Software Center where we can easily search and install any applications we want. There are few applications installed by default that comes with the Live DVD ISO file. You will only find Firefox, VLC, PDF reader, Gwenview Image Viewer, and some other standard system utilities. But its not a big deal since we can easily add and remove software using built in Discover, the ultimate Software Center. KDE Neon 5.10.4 is powered by Linux Kernel 4.10 which brings better hardware supports. This distro can handle all my hardware without problems. The WiFi device, audio device and VGA card are working very well. 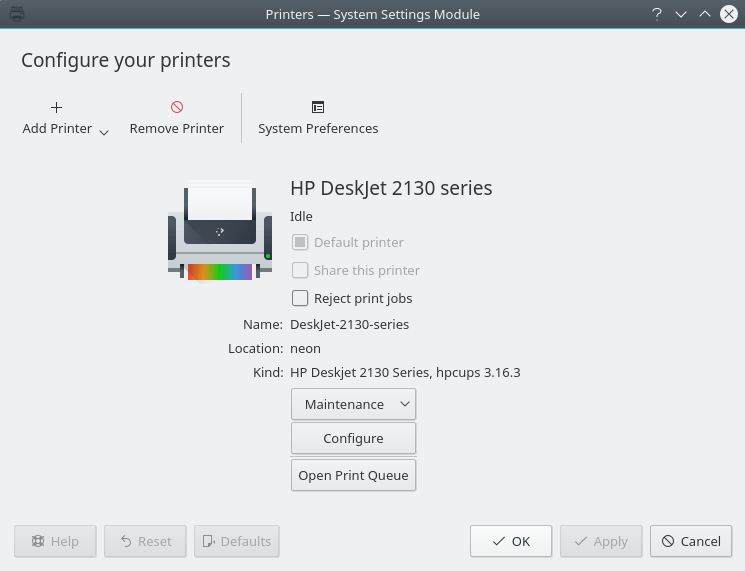 Even my HP Deskjet 2130 is recognized and working well. KDE Neon 5.10.4, a modern Linux distribution for desktop has all you need for your computer. 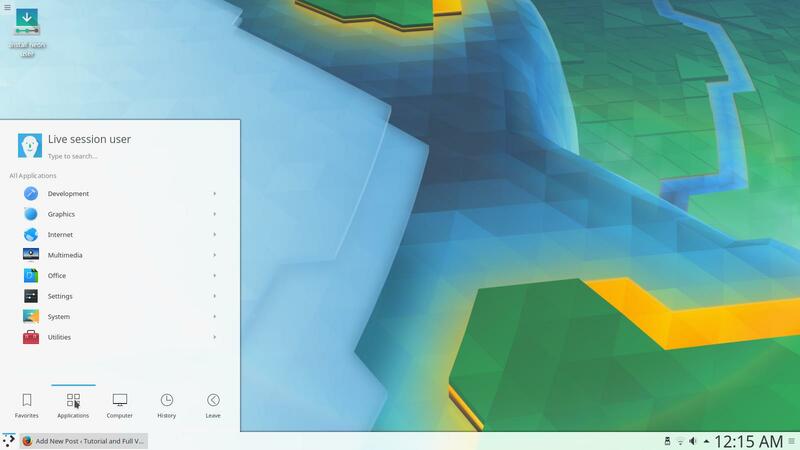 The new KDE Plasma 5.10 brings a lot of improvements and it has better user interface. Using Linux is now even better with KDE Neon. Simply boot your computer using the ISO and you are ready to go. Download KDE Neon 5.10.4 and enjoy a better Linux desktop.